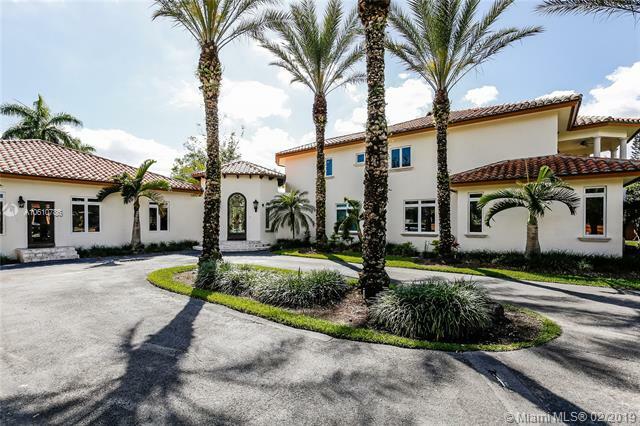 Recently renovated contemporary home on the North East of Pinecrest. Great layout home with more than 5,500 sqft on over an acre lot. This 4/4 + spacious loft has a unique design. Huge family room with a beautiful rock wall chimney. Private glass and wooden stairs lead to loft. Big master bedroom, gourmet eat-in Kitchen with oversized kitchen island. Windows overlooking the modern pool and lighted tennis court. Features: Camera system, heated pool and impact windows.